When the lanes are burnt you need something frozen to cool them off. Get down the lane with ease with the Track Tundra. The deep blue DR-4 Pearl coverstock is the real star of the show for the Tundra. This coverstock, finished at 500/1000 Abralon with Powerhouse Factory Finish Polish, will give you the most length from the Track line. You'll have no trouble getting this ball to clear the heads. The Track Symmetric core will help control the backend due to its high RG/low differential make-up. This is perfect for when the lanes are fried. You'll need all of the length and control you can get. This core/cover combination will provide ultimate control when you need it most. 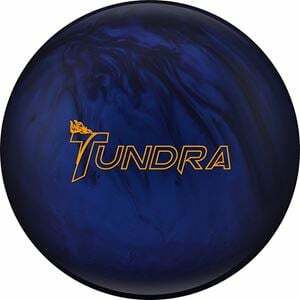 Whether you are bowling on old wood lanes, lighter volume oil patterns or on lanes that just flat out hook, the Tundra is the ideal ball for you.